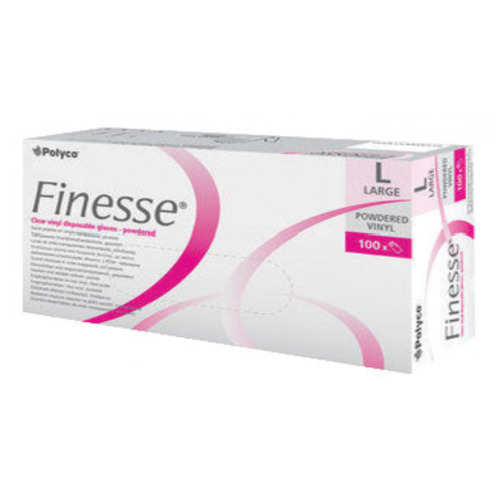 Finesse¨ is an extra fine vinyl powdered disposable glove that has an AQL rating of 1.5. Compliant to European Standard EN374, it provides an effective barrier against oils, acids and other chemicals. 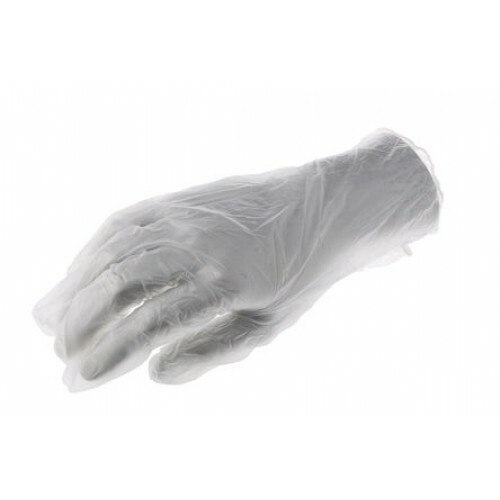 Due to its soft vinyl formulation this disposable glove provides greater comfort and is more flexible and dexterous to use. It is strong providing good barrier protection, and has a beaded cuff for added strength and prevention of liquid roll back. Containing none of the proteins that are present in natural rubber it eliminates protein sensitization. It is lightly powdered, which eases donning and helps to absorb perspiration, and conforms to standard EN1149 for anti-static properties. Finesse¨ has been tested in accordance with EN1186 making it suitable for food contact.